With wind power developers trying to push into Alberta and Saskatchewan, industry lobbyist CanWEA is trying its best to counteract what’s going on in Ontario where an attack of reality has changed boomtimes to downturn, says energy analyst Parker Gallant. In a posting on his website today, he says the trade association is making claims about its value and contribution to Ontario’s economy that don’t stand up to scrutiny. For example, CanWEA claims that wind power is the lowest-cost option for generating electricity. 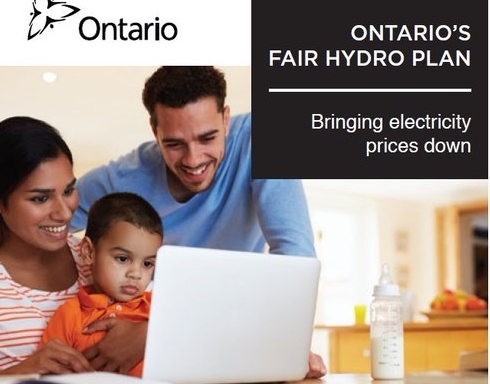 The new Ontario government has cancelled the Green Energy Act in an announcement today, ending so-called “sweetheart” deals for expensive renewable energy that hiked consumers’ power bills and brought hardship to Ontario rural communities through forced industrialization. 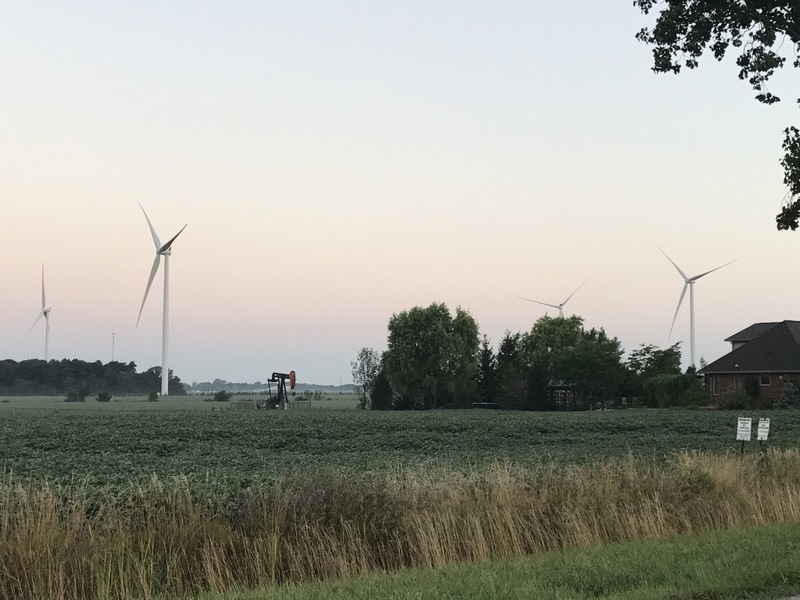 Wind Concerns Ontario has long advocated for cancellation of the act which promoted large-scale wind power projects, without any cost-benefit or financial analysis, as was recommended to the McGuinty-Wynne governments by two Auditors General. TORONTO — Ontario’s Government for the People is delivering on its promise to repeal the Green Energy Act, 2009, Greg Rickford, Minister of Energy, Northern Development and Mines, and Monte McNaughton, Minister of Infrastructure, announced today. 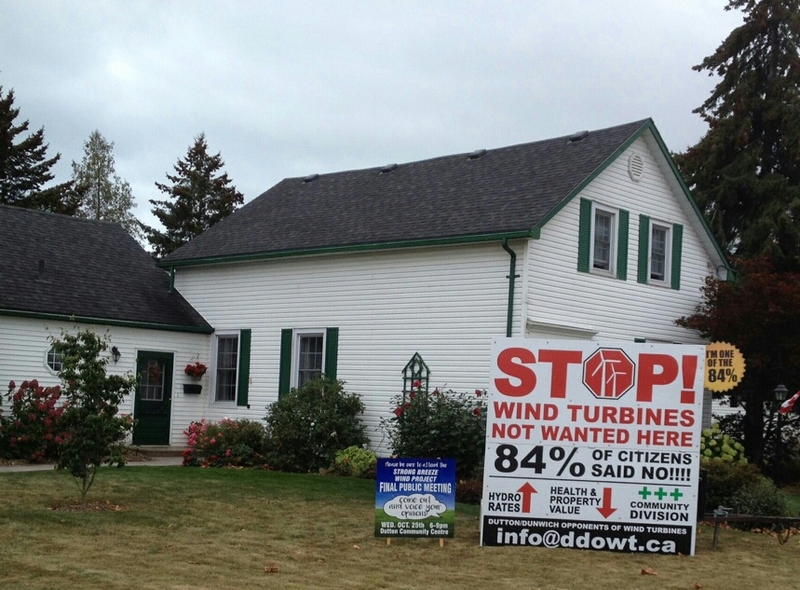 Wind turbine angst on Amherst Island: will the island community heal? Amherst Island — The blades on 26 new wind turbines on Amherst Island started turning in mid-June following a decade-long battle that divided the small island community west of Kingston and turned friend against friend. Some people still don’t wave to neighbours. Others decline to buy products from those who hold an opposing view, at the Saturday morning market. 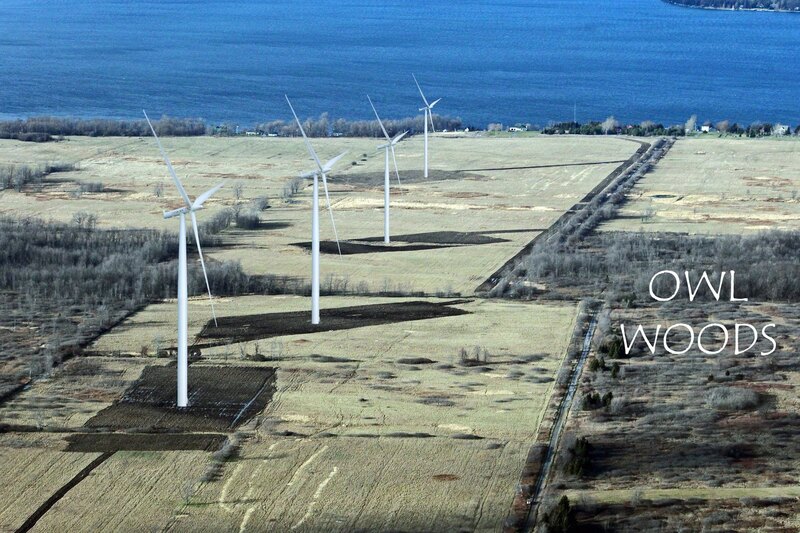 The island (population 420) is now home to the fourth operating wind energy project in Eastern Ontario. About 350 islanders joined an association to stop the turbines. There are 86 turbines on the next island over, Wolfe Island, five more turbines just west of Kingston [Ernestown], and 10 at Brinston, 20 minutes southeast of Kemptville. A Prince Edward County project that was under construction was recently cancelled by Premier Dog Ford as a cost-saving measure. 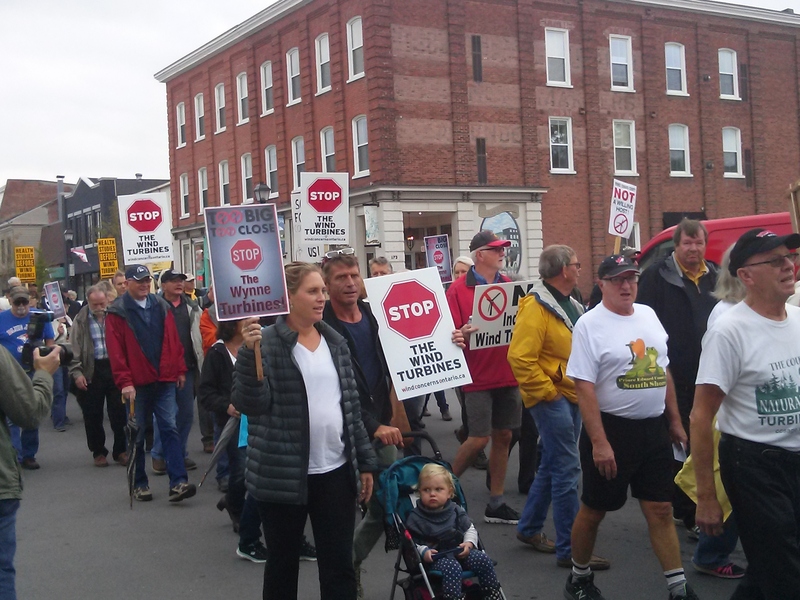 Several people said the Amherst Island community–you take a ferry to get there–was mostly split between two factions: the anti-turbine group included those who moved to the island since the 1990s and don’t own much land. The pro-turbine group consists of generational families with plenty of space to host turbines. Sheep farmer Dave Willard, whose family has lived on the island since 1850, has two turbines on his farm and said while things have gotten better, there are still four people who won’t wave to him when he passes by. There are 17 landowners hosting the 26 turbines. Willard says while there will be good years and bad years, he estimated he won’t earn less than $10,000 a year from each turbine. “It doesn’t matter. If it were $2,000 a year, that would be fine by me,” he said. Sheep farmer Cherry Allen at Flat Foot Farm is Willard’s neighbor and used to have 1,600 ewes. But they had to cut back to 600 because of the turbine construction on land they rented. Allen, who runs the farm with partner Mark Ritchie, said they run a closed flock and it will take about three or four years to get back to 1,600 ewes. Allen, who opposes the turbines, said that one of Willard’s turbines is 700 metres from her house. She said she can hear the turbine but it’s far enough away that she blocks out the noise. Sheep farmer Ian Murray of Topsy Farms said his farm was approached several times by Algonquin Power to host a turbine. The farm is run by five partners and Murray said one of the partners didn’t like the look of the turbines. Little has a point. Other sources of energy can provide enough power in the province. As it stands, Ontario sells excess power at a loss to U.S. states and Ontario has the most expensive electricity in North America. 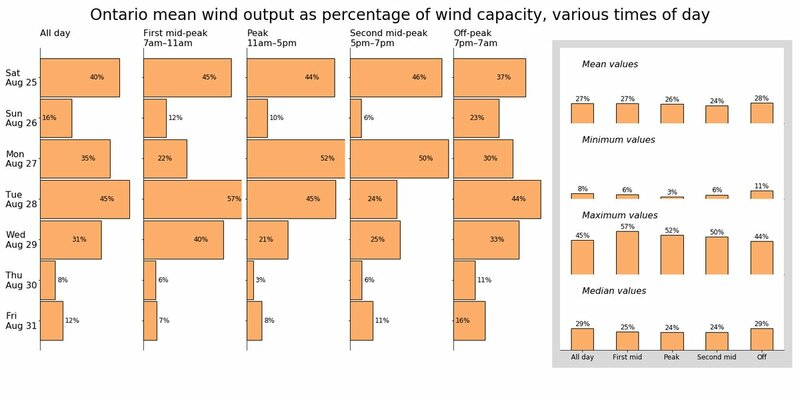 Looking at one weekend in July, Ontario’s wind power produced 1.3 per cent of Ontario’s demand for energy, and there were 2,515 turbines operating in Ontario, as of December, the vast majority in Western Ontario, said Parker Gallant, a green energy critic who writes an energy sector blog. 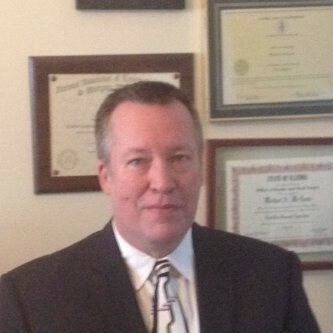 He estimated that wind power costs Ontario taxpayers a net loss of $1.9 billion per year.